How to use interactive LightMix? 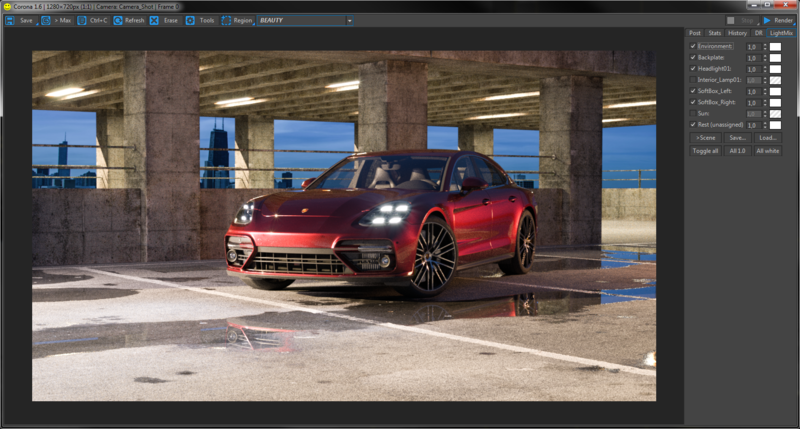 LightMix can be used on Corona EXR files outside of any 3D software using the Corona Image Editor. 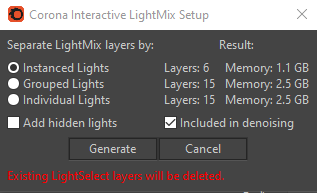 LightMix can be set up either automatically, or manually. Choose the way lights are grouped - based on instances, groups, or individual lights. 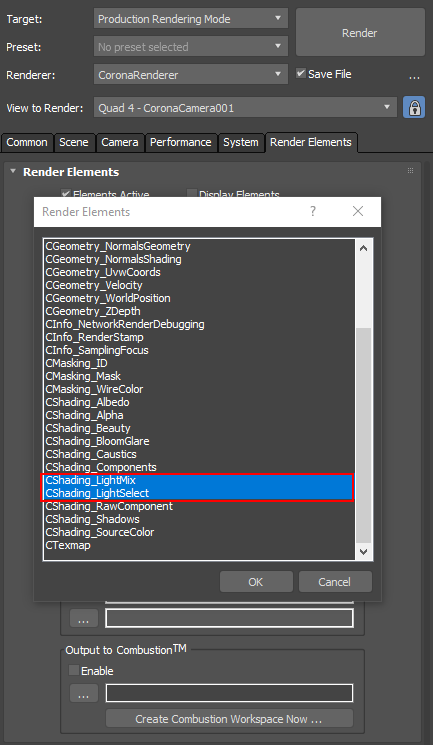 Each light that you wish to control should be added to "Included light sources" list in each CShading_LightSelect render element. You can add one or more lights to each LightSelect element. Additionally, you can check the "Include Environment Light" checkbox to control environment lighting. To learn more about denoising, see: What is denoising? 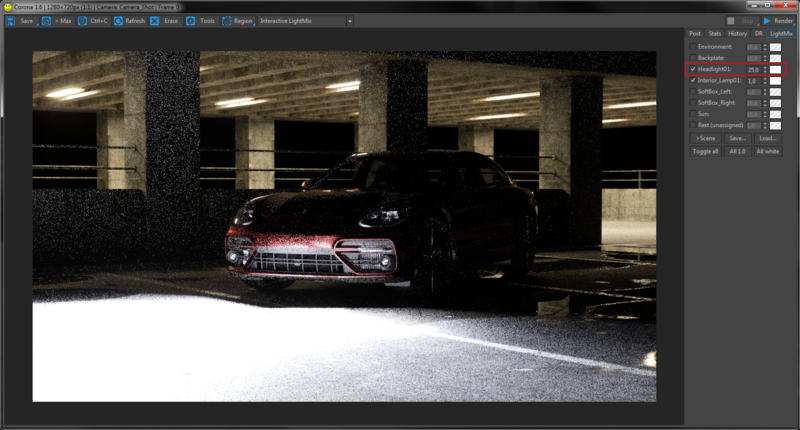 >Scene - This bakes all LightMix colors and intensities into the scene lights. After clicking this and confirming, the image displayed in the VFB will be temporarily changed to the non-LightMix version, and you will need to re-render it to get the desired result. 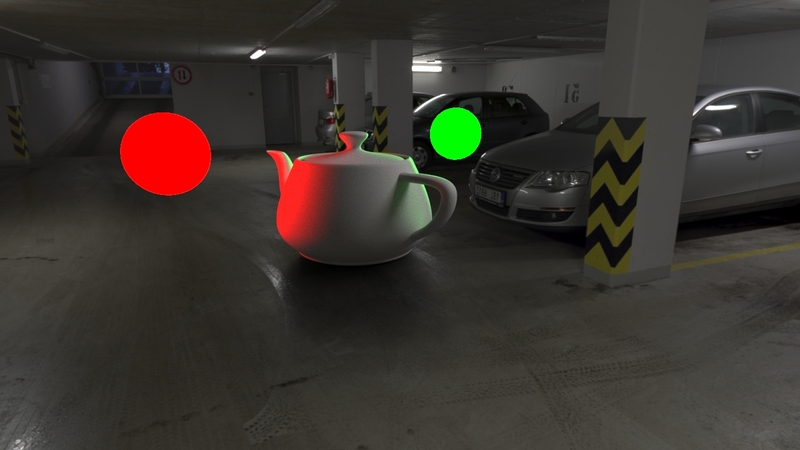 Lights which are instanced will become unique in case some of them were separately altered using the LightMix. Save... / Load... - This saves a LightMix preset as a .conf file. Useful, for example, when creating day and night versions of a scene. It is also possible to load a preset after a camera is changed and a different view is rendered. The .conf files can be also loaded into the Corona Image Editor. Toggle all - This enables or disables all lights in the LightMix list. 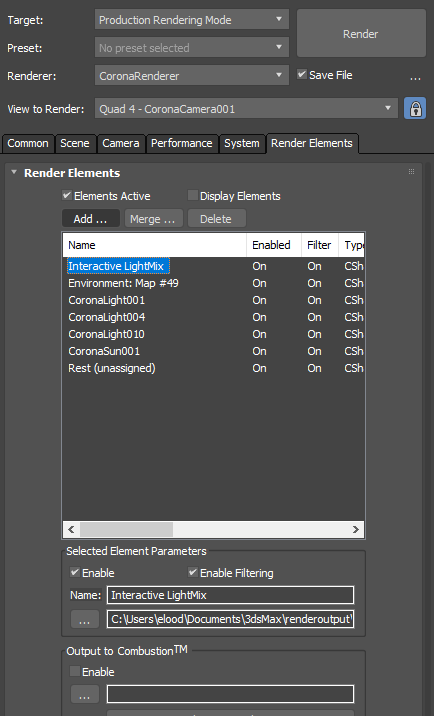 All 1.0 - This reverts all LightMix layers' intensities to 1.0, which means the values set in the scene will be used - this will NOT make all lights equally bright if they have different intensities set in the scene. All white - This simply reverts the colors of all LightMix layers to pure white, which results in having the initial colors of scene lights used. 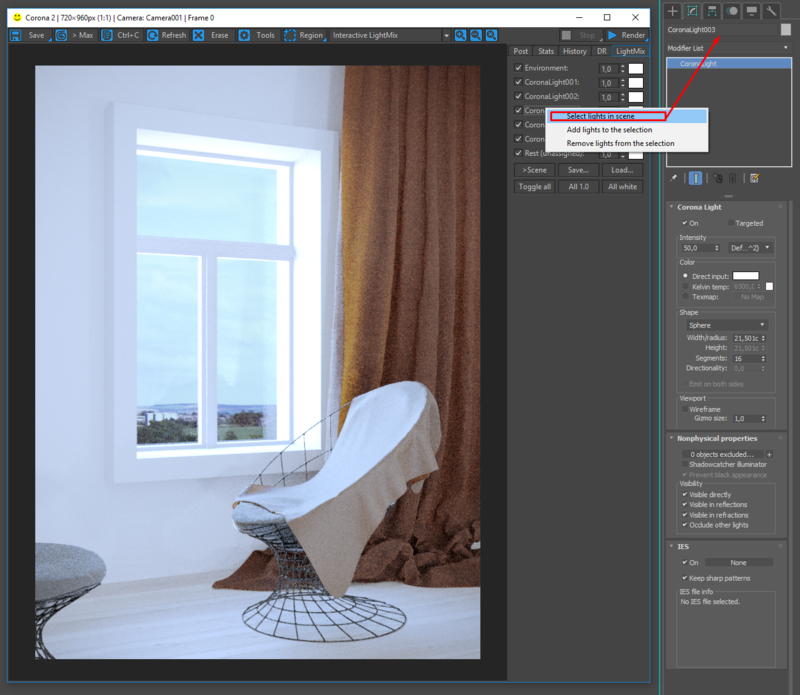 To compose different LightMix layers (LightSelect render elements) so that the final image looks the same as in the Corona VFB open the layers in the application of your choice, and stack them on each other in any order using the "add" blending operation. In Adobe Photoshop it is called "Linear Dodge (Add)". This, depending on the intensity, may result in persistent noise (fireflies). Solution: after setting the LightMix as desired, use the >Scene button in the VFB LightMix tab to bake your settings into the scene. Using extremely high or low light intensities in the LightMix always leads to excessive noise. This can lead to excessive RAM usage. A warning message should appear when attempting to set up LightMix with many lights. Solution: render your image in low resolution to keep memory usage low, then adjust LightMix settings as needed. 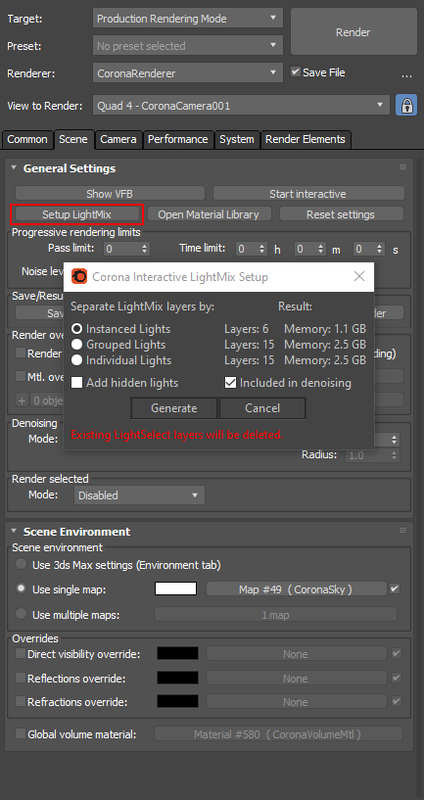 Once the LightMix setup is complete, use the >Scene button to bake all custom light settings into the scene, then disable all LightMix and LightSelect render elements, and re-render your image in high resolution. 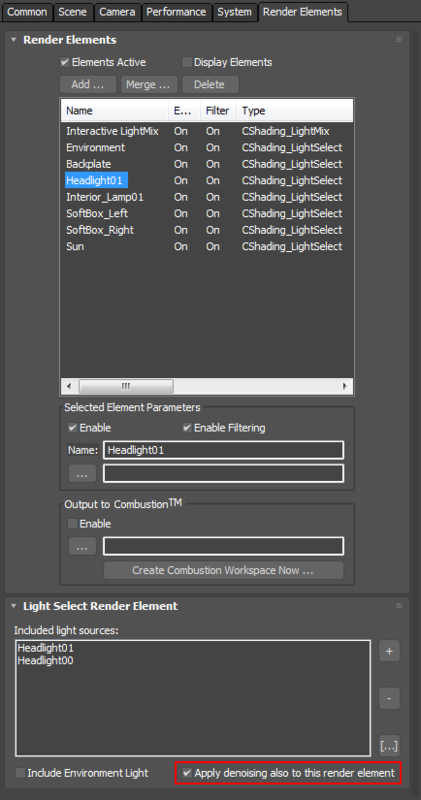 This way you will be able to use your LightMix settings in a high-resolution render, without the high RAM usage. 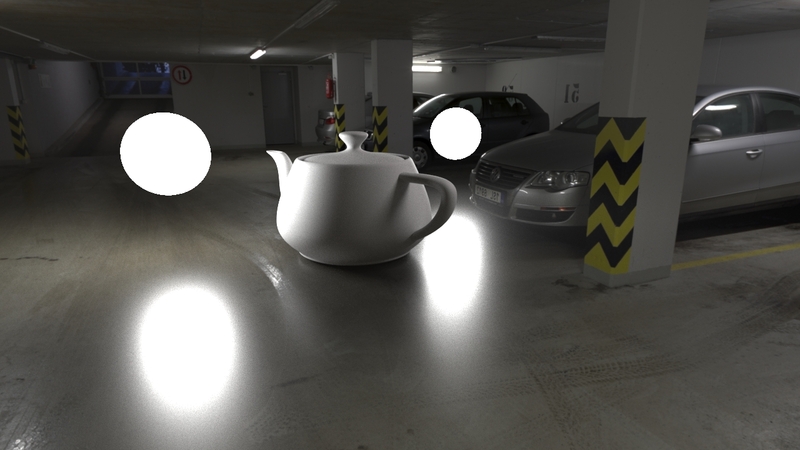 LightMix does not interactively update shadow catcher material shading results - this is currently a limitation. Solution: use the >Scene button to bake LightMix properties into the scene. Then re-render your image and use the beauty pass to get the correct ShadowCatcher result.